Chromexcel is a massively popular leather right now. I asked Phil Kalas from Horween about Chromexcel and what makes it so unique and desirable on wearable products. You can read a very in-depth article on exactly how Chromexcel is made here. Nick Horween did an excellent job describing the process. Check this article that Phil wrote to illustrate the difference between Shell Cordovan and Chromexcel. 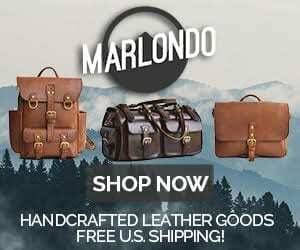 How long does it take to make a batch of Chromexcel leather? Chromexcel, or CXL as it’s written in the building, is a combination tanned leather that undergoes at least 89 separate processes taking 28 working days and utilizing all 5 floors of our facility. I have some Chromexcel Wolverine 1000 miles boots that acquire a whitish waxy look if they sit for a while. What is that all about? g a cloudy/hazy look. You can very easily wipe this off or brush it to a very nice shine with a horsehair brush. No shoe polish required! Bloom is a desirable characteristic as it means that the leather is properly nourished with greases/oils/wax. This is the wax before being melted and “hot stuffed” into the leather. What do you think are the best ways to use Chromexcel? I understand people use it more as a wearable leather than a structural leather, but then I also know people who use it in bags. Was Chromexcel designed for certain usage? One of the original intentions for the Chromexcel leather was for usage in engine and motor seals. This is very cool because they were used for engine seals on Tanks and other heavy equipment during World War II. I personally like Chromexcel on a wallet and footwear like a boat shoe because the leather will mold and flex to its contents. Chromexcel is sometimes a poor choice for a bag because it does not hold its color very well. Due to the high grease content, the dyes/stains used to color the leather become very mobile and have a tendency to rub off on light colored clothing. Horween has developed some variations on the traditional Chromexcel such as Beaufort Chromexcel that has a lower grease content. The result is better for color crocking and the leather is a little drier in feel. What are some ways in which Chromexcel would not be ideal? Chromexcel will scratch and scuff easily — any application where resilience is required I wouldn’t want to use Chromexcel. I wouldn’t use Chromexcel on any type of furniture/car interior or something that will be in the sunlight all day. The color would rub off on your clothes if it was a couch made of Chromexcel (although it would be ridiculously comfortable) and the sunlight would fade the color without a special top coat sprayed on the leather. I also believe that too much of a good thing is a bad thing. Variety is good! A lot of people dislike the look of Chromexcel because it is a rugged/American type of aesthetic. There is a big prevalence for the polar opposite of this aesthetic: textured Italian leather. Neither is really better or worse but they are just a different aesthetic. How many colors do you make in Chromexcel? Horween Leather Co. is essentially a custom shop. We will make any color a customer requests. On the standard Chromexcel, again because of the high grease content, we are only able to achieve earth tones. To get brighter colors of Chromexcel we created Cavalier Chromexcel. Here is an example of the Cavalier Chromexcel in blue and red (along with the earth toned colors of Chromexcel). It seems in the past couple of years there has been an increased demand for leather from your tannery, often citing Chromexcel as one of the best leathers to use. This is true — we have seen peaked interest in our products. Many Americans are appreciating having one really nice thing as opposed to ten inexpensive, less nice things. Further, there is a great demand in the apparel industry and other industries, like food, to know where your product comes from. There are not many American tanneries left and Horween fills these needs. What is your favorite product that uses Chromexcel? This is very difficult question for me because, as I type this, I am using several products made of Chromexcel. I like the Alden brown Chromexcel Indy boots, Wolverine 1000 mile boots in their new sueded Chromexcel, Oak Street Trail Oxford in navy Chromexcel, Altadina Works teardrop pack in natural Chromexcel, and I carry a few products around I’ve made for Ashland Leather Co. (Fat Herbie wallet, key case, passport holder, key fob, belt) in midnight blue Cavalier Chromexcel. Anything else you might add? 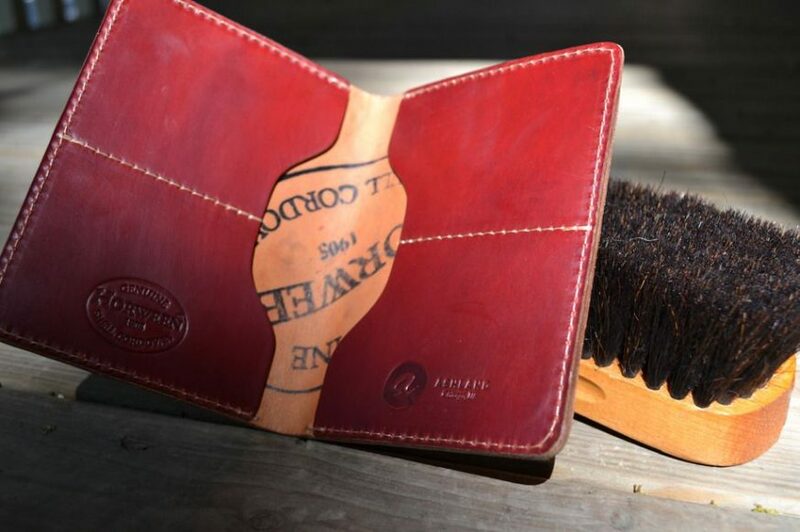 Chromexcel is very popular right now and it is fun to remember that this leather has been around for over 100 years! We have developed some new products in the last few years that people will love like Essex and Dublin. These products are made using the same tanning extracts that we use in the shell cordovan — amazing stuff. Phil Kalas works at the Horween Tannery and also owns Ashland leather, which works primarily with Chromexcel and Shell Cordovan. Check out some of his classy and durable creations here. 23 Comments on "All About the Famous Chromexcel Leather from Horween Tannery"